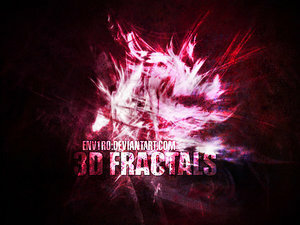 In a set of 3D Fractals are 12, including a large (diameter up to 1950 pixels), brushes for photoshop. 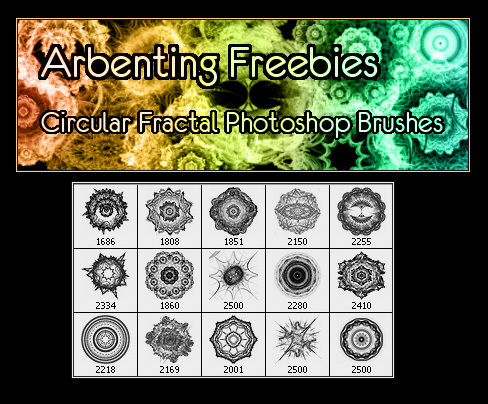 In a set of Abstract Fractal, is the same 12 brushes. Compatibility - Photoshop 7 and above. As can be seen even on the preview image, the brush can add a very cool effects in the overall appearance of your web project. The set includes 18 brushes created for Photoshop CS2 and higher. Resolution ranges from 800 - 1100 pixels. 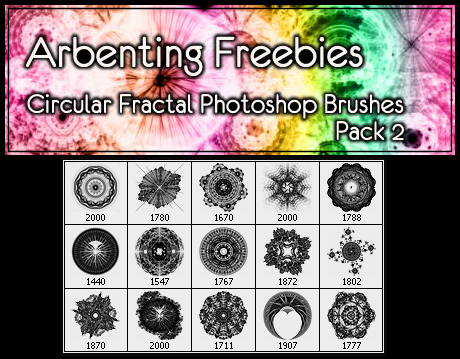 This set includes 15 fractal brushes for Photoshop at high resolution. Download and try to put into practice, judging from the preview should get something interesting. Of course, a separate small brush apply, but in conjunction with other design elements you can get a pretty picture. Continuation of Circular Fractal Pack. Like its predecessor contains 15 brushes. 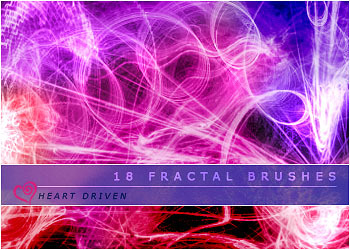 Fractal Brush must be in the arsenal of any designer. 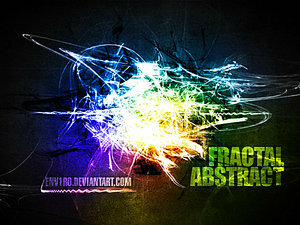 Because only by mere fractal brushes you can create a great abstract bekgraund. In a word - Mast keV! In addition, data sets of brushes can add the original light effects on the site that looks quite nice. "Weigh" of course, a lot of files, but it's definitely worth it.